It seems that Dmitry Gurevich lives behind the roped-off areas at the US Open, and (depending on the year) you'll see Schmakels and Aramils, Augers and Rosens, too. Patzers from Chicago can visit there, too. If one wins a game behind the ropes, one gets to stay there. My wife (who knows my character flaws all too well) says, "You like the attention, don't you?" Perhaps I can monetize my fleeting good form (trust me, it can't last) by telling you that I'm available for individual and group lessons at reasonable rates. 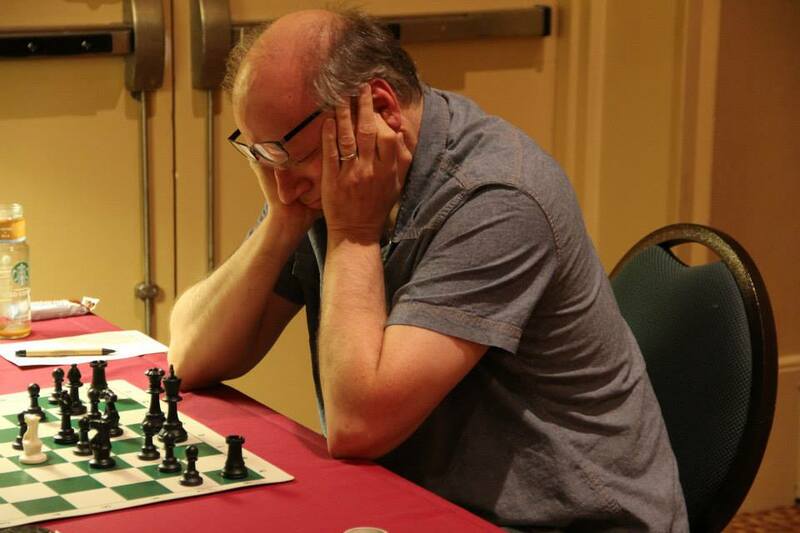 All fees received will go directly to support the Chicago Chess Center! Interested? Please drop me a line at billbrock@chichess.org. Nine-day standings are here. Shabalov and Schmakel are in the six-day section.